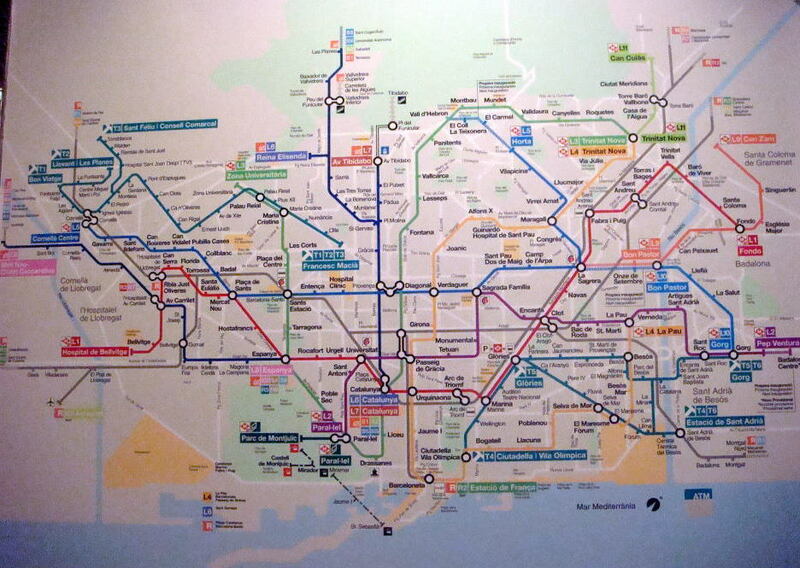 three integrated commuter lines running out into the extended metropolitan area. 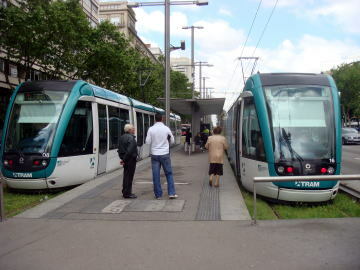 TMB operates the lines L1 to L5, FCG L6-L8 and the tram operates T1-T4. 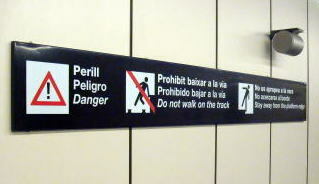 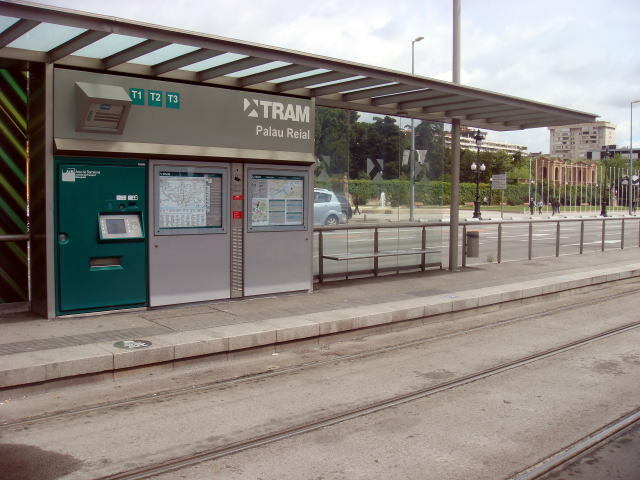 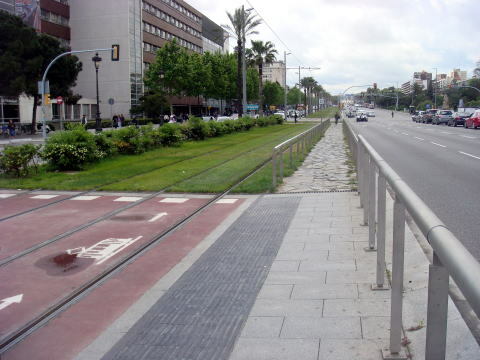 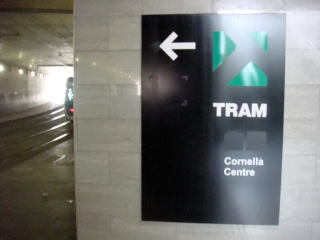 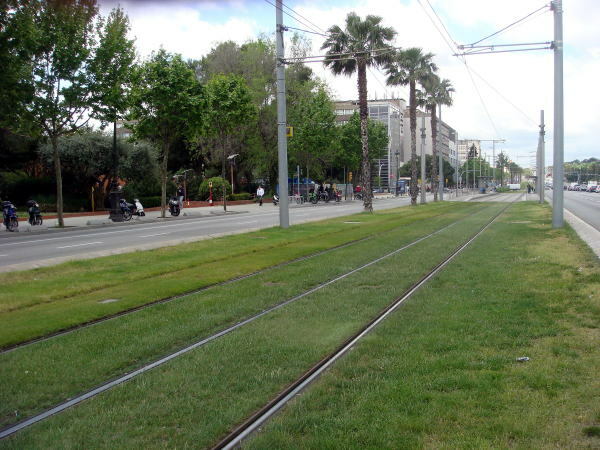 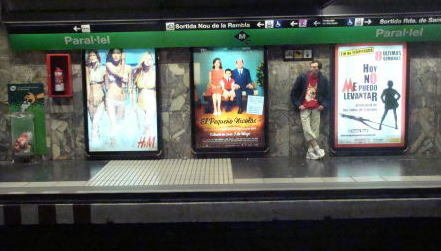 (L) A trambaix station in Barocelona Palau Reial de Pedralbes is nearby. 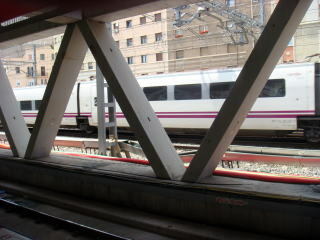 which is the network station of Renfe and Barcelona Metro. 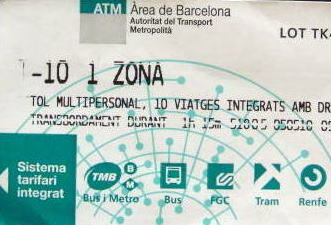 the T10 transport, good for 10 journeys and the single ticket for one journey. 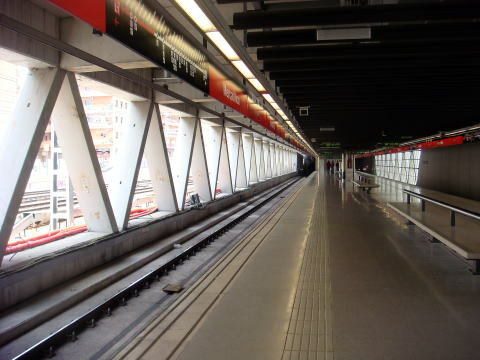 Barceloneta metro station is close to the area of Port Vell , a waterfront harbour of Barcelona, which is facing to the Mediterranean Sea. 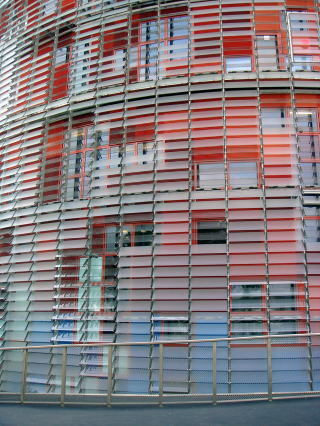 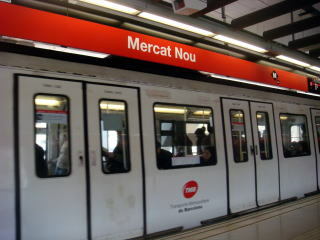 This photo shows an open-air station, Mercat Nou ( New Market ). 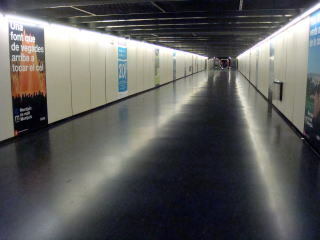 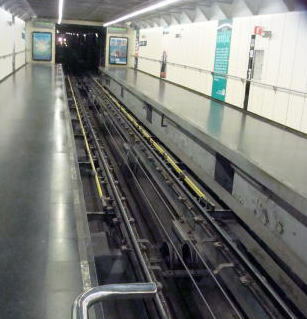 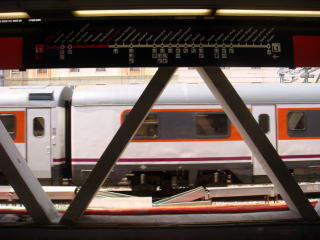 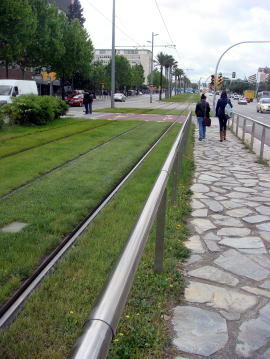 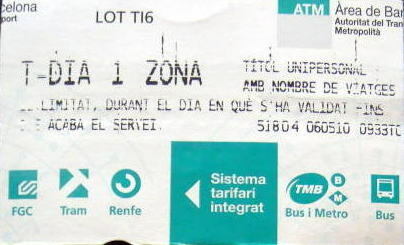 Many trains of Renfe's lines pass through on the surface and underneath the metro station. 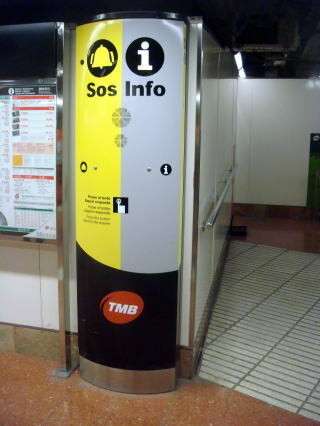 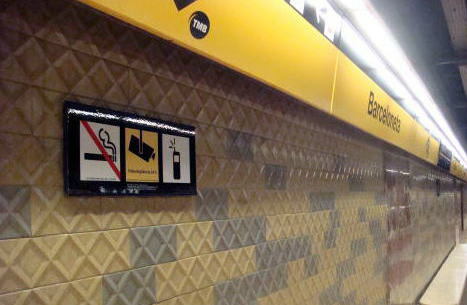 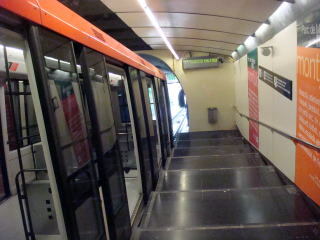 (R) There is a route diagram and station guide above the metro-train door. 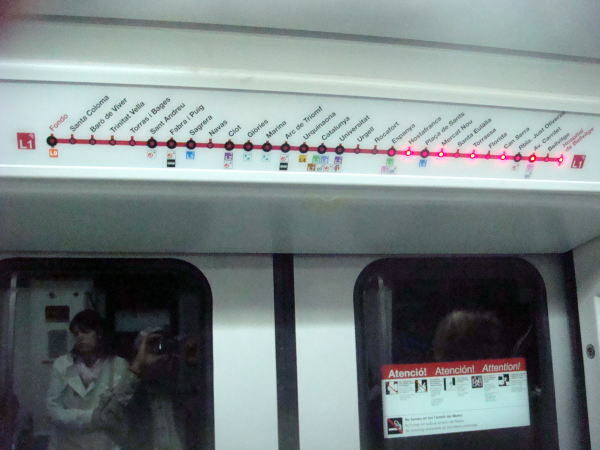 The red light shows the stations we have passed. 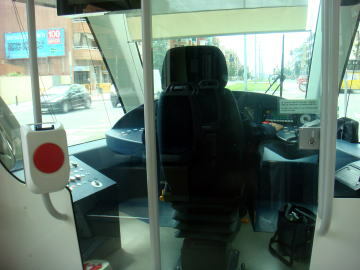 It might be more reasonable to put light on the next station to stop and the direction which way this train is going to. 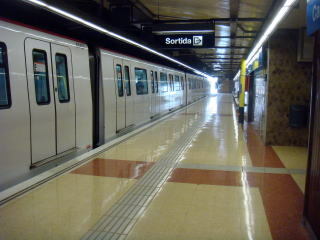 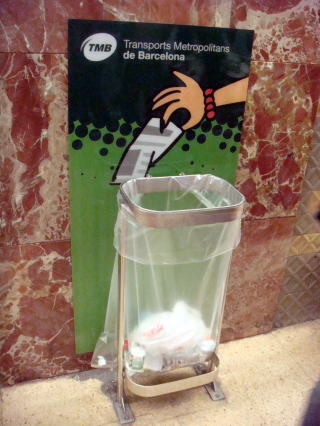 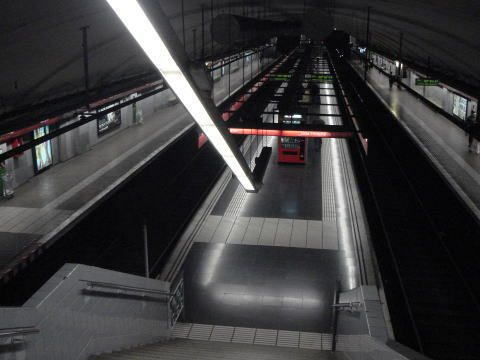 Metro Glories, which is the easily accessible station to and locates underground of Placa de les Glories Catalanes. 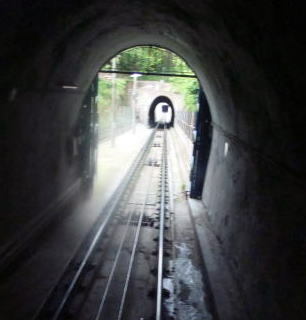 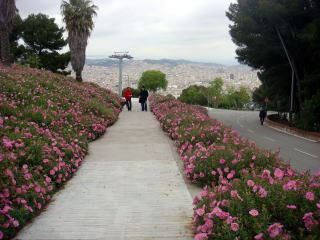 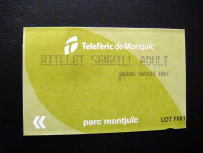 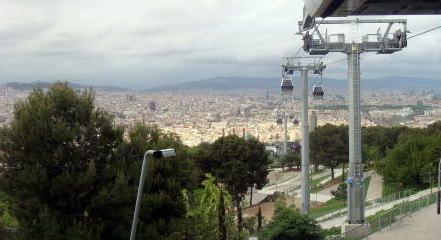 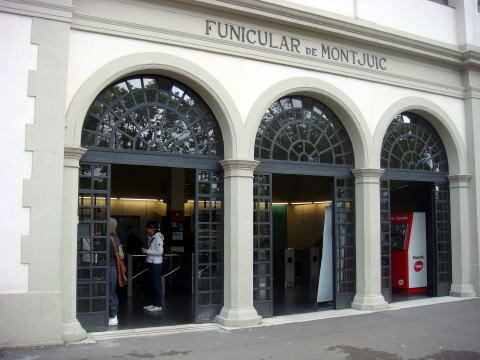 The photographs show a gondola lift to the top of the Montjuic in Barcelona. 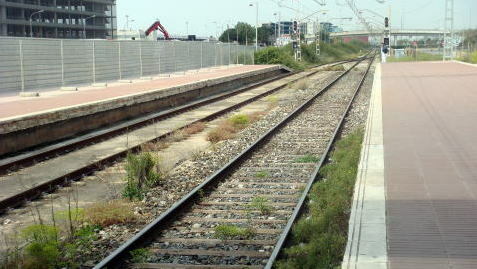 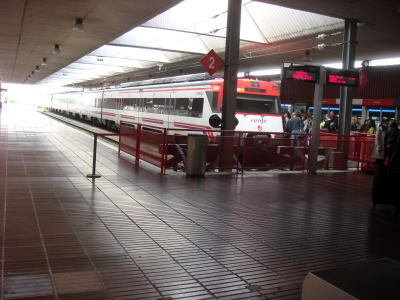 the high-speed train has started to link via railroad the two major cities in Spain. 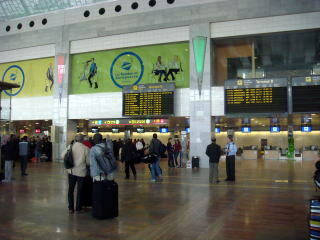 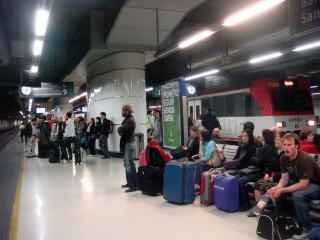 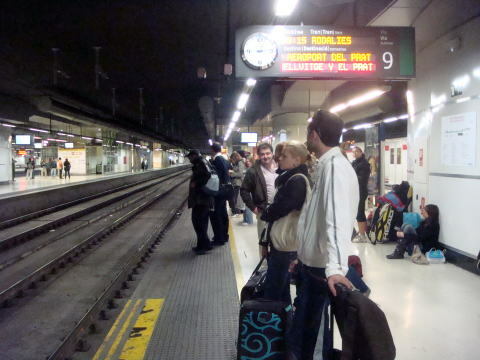 Passengers are waiting for a commuter train ( Line 2, Nord ) to the Barcelona airport. 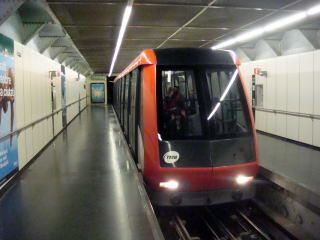 It stops at Barcelona Sants station. 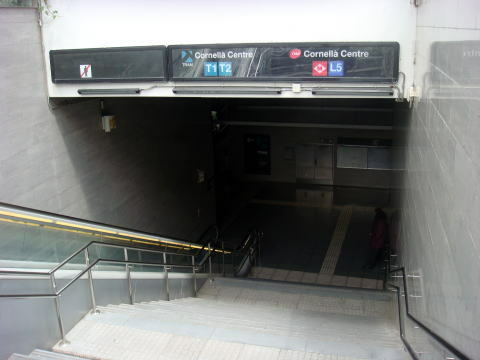 If you are coming from Granollers Centre or Estacio de Franca, you have to change a train at Barcelona Sants. 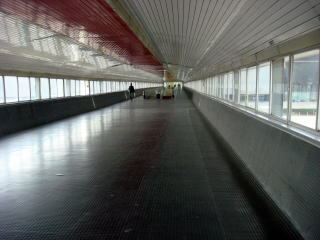 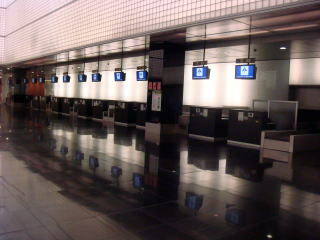 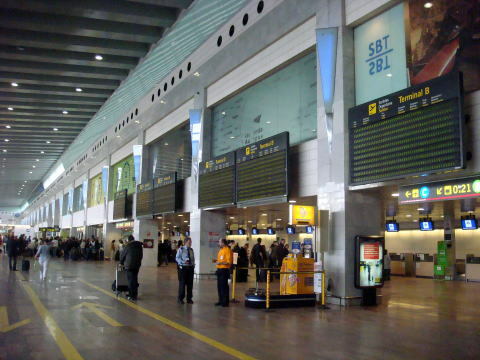 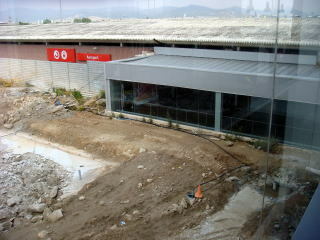 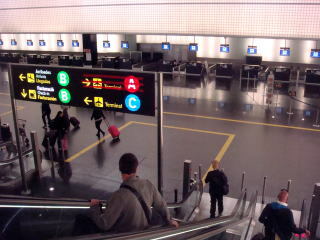 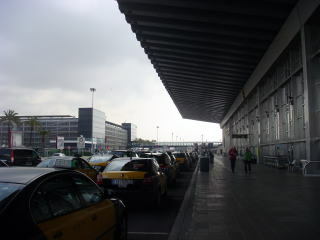 (L) The Terminal 1 of Barcelona airport (R) At the corner of Terminal 1, a tourist agent was waiting for an arrival of their client. 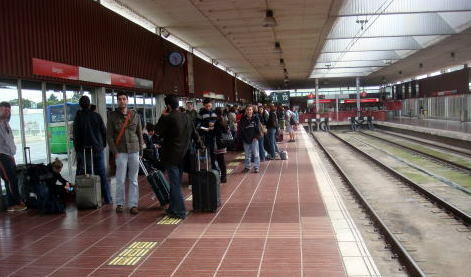 (L) Passengers waiting for a train to the downtown (R) The railway track is single in the district near the airport. 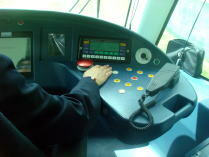 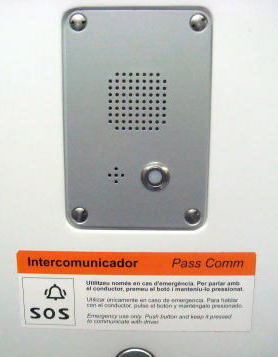 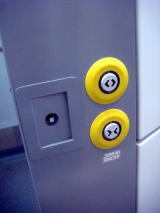 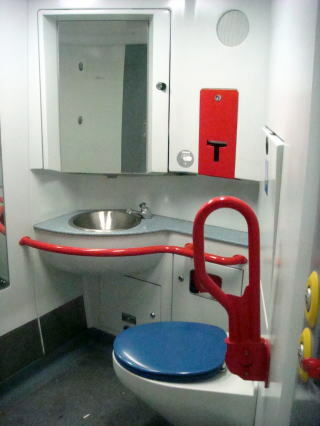 (L)(M) This photo shows a commuter train toilet and electric switch button for a handicapped passenger. 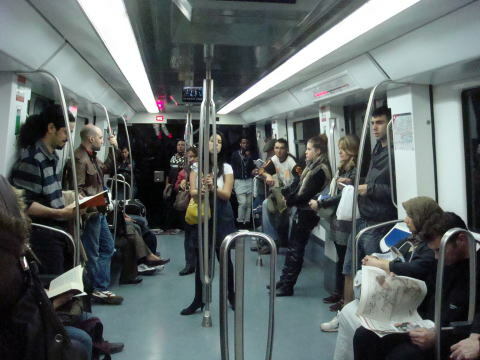 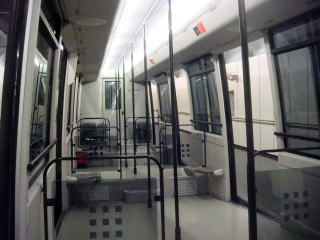 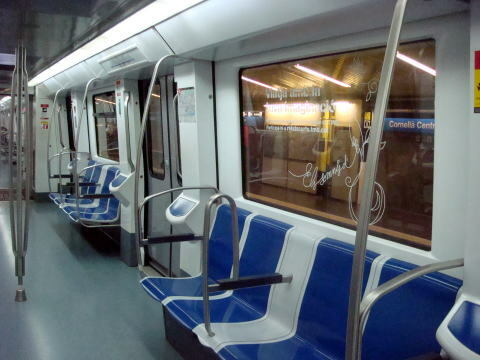 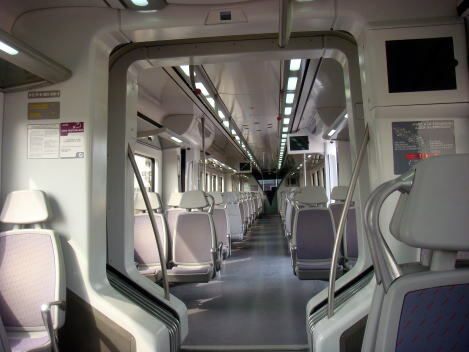 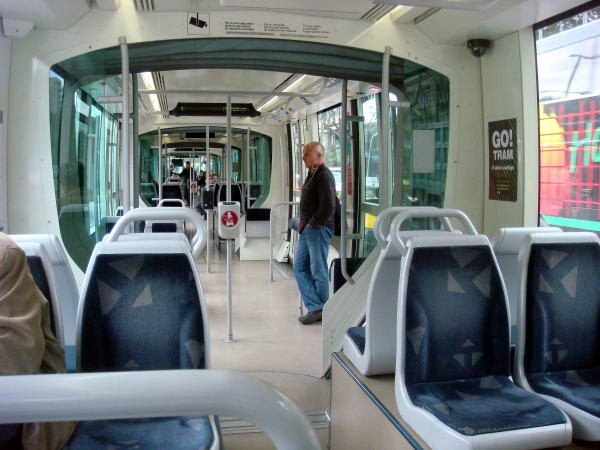 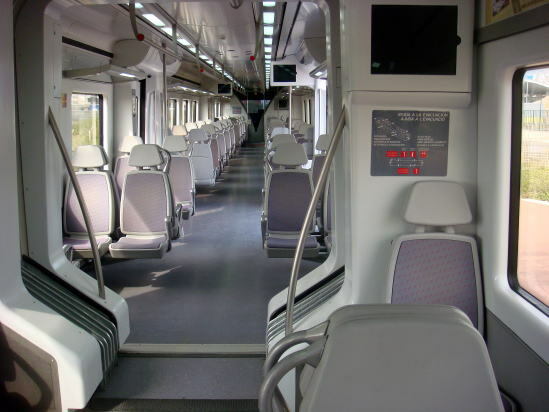 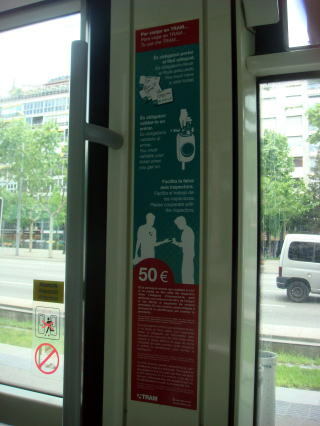 (R) An interior of a new train that runs between the downtown and the airport of Barcelona..